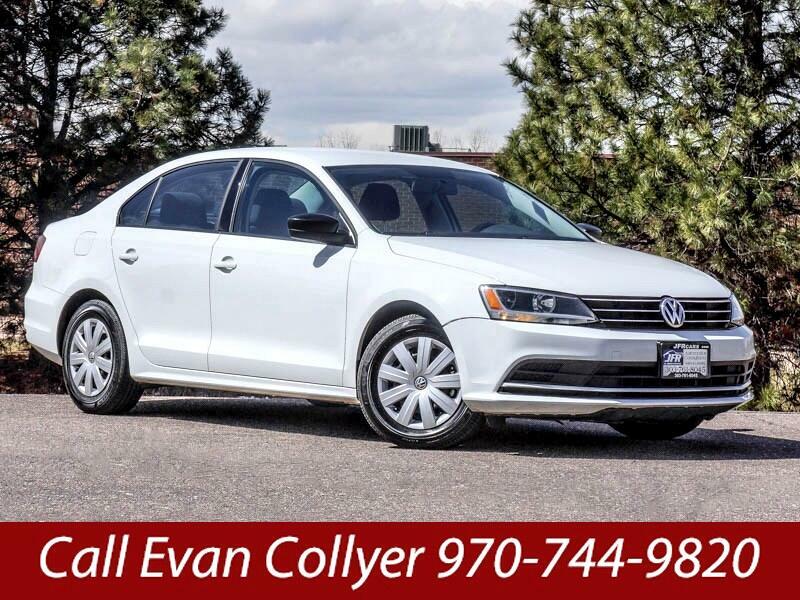 Used 2016 Volkswagen Jetta 1.4T S w/Technology 6A for Sale in Littleton CO 80120 JFR & Associates, Inc. This VW Jetta has been well cared and maintained over the years. No accidents or damage reported to CARFAX. You can sleep at night with peace of mind not having to wonder or worry what this car might have been through in the past. The turbocharged engine provides excellent fuel economy and plenty of power when you need it. Fuel ratings are coming in at (City 28 - Hwy 39) miles per gallon. Fewer stops at the gas pump add up to having more money in your pocket every month. This is a snappy little car that maneuvers in and out of traffic like a breeze. You'll love the way this car handles and drives. Plus it's easy to park in tight spaces. This VW Jetta comes with Brand new tires, turbo, Apple Carplay, a backup camera and fantastic gas mileage! This Jetta is the car to buy if you want to get the best value for your money and a car that is sporty and classy. Contact us today and schedule an appointment to take this car for a test drive and find out for yourself how comfortable and beautiful this car drives and handles. Call Evan Collyer at 970-744-9820 If you have any questions or if you would like to schedule an appointment to see this vehicle.